Manufacturers who produce Portable Displays sometimes get clouded judgement when it comes to defining what a portable display truely is. What's portable to a man verses a 115 pound woman, is vastly different. 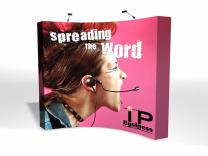 Here are what we feel are truely portable displays for everyone! #1 Table Top in The Market! 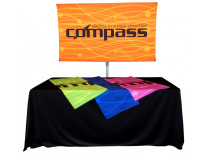 Great for presentations on the GO! Create a Clean, Seamless Look! 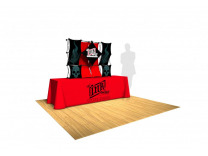 Regardless of what portable display system you choose, we feel the portable displays that we feature are very portable, and will serve you well in your future exhibiting needs. 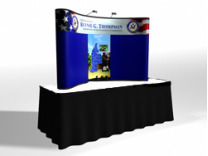 If however, you feel you need a little more firepower than what these portable displays can provide you, give us a call and we'll be happy to discuss what incremental steps you can still move up with and still maintain that portability that you're looking for. 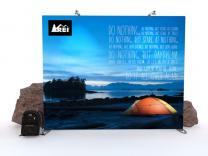 We're often asked why portable displays cost so much? 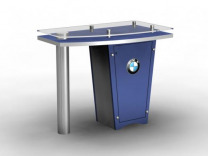 There are many resons, but probably the best answer to that questions lies in the fact that almost anyone can create a nice looking display that may cost less. 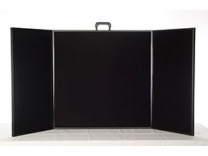 But to create portable displays that are also light weight and can break down into smaller components in order to ship economically, that's the real trick in creating portable displays like these.